Sometimes you gotta peace out and take a well deserved vacation to Tulum. 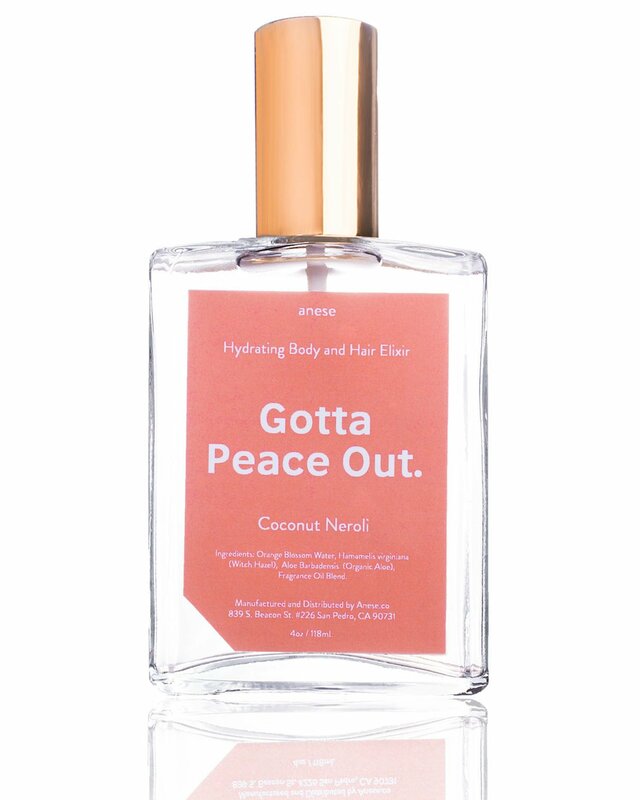 Our Gotta Peace Out spray is the perfect scent to get you in the mood for some quality sun bathing time. This hydrating elixir smells like Coconuts with a light hint of Neroli. All of our products are a blend of natural ingredients that work to moisturize and sooth.